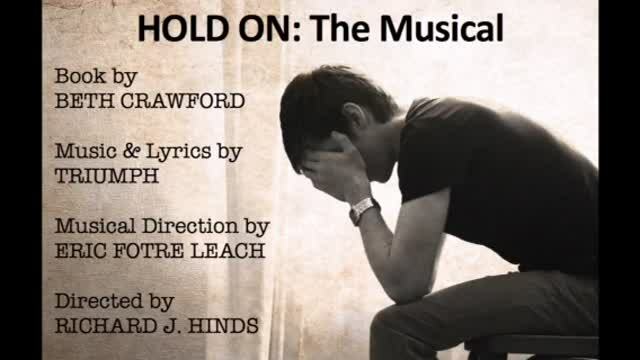 "HOLD ON" is an original rock musical in development written by Beth Crawford and directed by Richard J. Hinds (Broadway's NEWSIES, Broadway's COME FROM AWAY). Inspired by her own son's bravery and angered by the increased discrimination resulting from the Religious Freedom Restoration Act of 2015, Crawford began writing a piece that would depict the present-day struggles of a 23 year old, gay singer songwriter from Philadelphia. (See synopsis). HOLD ON features a soaring soundtrack by the Canadian Hall of Fame rock band, Triumph (rights granted), and while it is remarkable that songs written 30 years ago could aid in the telling of such a relevant story, it is no surprise that these timeless tunes continue to reach audiences today. "HOLD ON: THE MUSICAL" is more than a modern-day love story with a tragic twist. It exposes a multitude of social issues, stigmas, and dilemmas that hit home for people of ALL ages and genders. © 2017 HOLD ON: The Musical . All Rights Reserved.